It’s already the middle of January in 2017. The V word is right around the corner, Valentine’s Day, the ‘Super Bowl ‘of dating. For those who made New Year’s resolutions, if they included joining a gym, losing weight, dating again or finding love, here’s some wise dating advice to add to your list that we know you can really keep. 1. I will create a NEW online dating profile. If you’ve tried dating sites without success, guess what? You’ve got a lousy profile. Whether you decide to hire a dating coach to hold your hand or take on the task on your own, it’s time to say out with the old, in with the new. Your stale profile needs a digital facelift to attract your dream date. 2. I will log on EVERY morning before work and EVERY night before going to sleep. If you can find an hour a day to call your BFFs to talk about your day, or your empty date card, you have time to log on twice so your profile shows you are active and for you to write to and respond to potential dates. 3. I will ACCEPT three dates a week and will stop looking for perfection. Going on a date doesn’t mean you’ll be walking down the aisle with your date or merging bank accounts. It’s just a date; a meet-and-greet. The more you date, the better dater you will become. So if someone has 50% of what you’re looking for, agree to go on a date. Who knows? He or she just might become a new friend or might have someone else for you if there’s no romantic connection. Fill your date card (less than 50% of the week) by scheduling three dates. Coffee, lunch, drinks, you name it. 4. I will go out on TWO dates with each person. Say goodbye to one-and-done dating and hello to meeting new and exciting people. We believe that everyone deserve a second chance. First dates can make many nervous. In fact some people change locations in the same night (dinner somewhere and dessert elsewhere) just to say they’ve gone on two dates. The goal of your first date should be to keep it light and simple and SCHEDULE a second date on the calendar. 5. I will search and write to TEN people a day. Before you shoot the messenger, you should know that by writing to ten people, you might only get one reply. Remember, not everyone is logging on at the same time, some go on vacation, and others are dating multiple people. It’s not unusual for someone to thank you for your email, but to tell you they’ve met one person and want to see where it goes. The only way to be successful is to be PROACTIVE. That means ladies can write to men, so toss out the old rules. Men will be flattered to hear from you, because they are writing to a lot of women and many don’t write back. Think of dating and finding the perfect match for you like looking for a job. You won’t stop searching for a job when you’re out of work, even after three bad interviews or no replies. The same goes with dating. If you’re looking for love, you need to put in the effort to win the digital love lottery. Julie Spira is a dating coach and author of The Perils of Cyber-Dating: Confessions of a Hopeful Romantic Looking for Love Online. She’s a finalist for Best Dating Coach in the 2017 iDate Awards. Visit her at CyberDatingExpert.com and sign up for the FREE Weekly Flirt newsletter, where you’ll also be able to download for free the 7 Secrets to Finding Love Online. New Year’s resolutions. Who needs them? The first week of January is known for being one of the busiest days for new online dating sites, with over 50% of new members joining the day after New Year’s, I thought it would be appropriate to think about a realistic resolutions list when it comes to matters of the heart. Match.com reports that during the first week of 2014, they’ll expect to have over 2 million singles logging on over 30 million times! This Sunday, January 5th at 8:57pm/ET, Match expects it to be the busiest time of the year for online dating. Are you ready to take the digital plunge? With that in mind, when it comes to matters of the heart, singles need to become reflective and take a good look at their dating patterns. Did you date the same type of people over-and-over again? Did your relationships sizzle at the three-six month mark? Was it rate to make it to a second date or past a third date? Is your list of the traits of your perfect mate too big or too small? Here are my suggestions and a list of questions for you to answer to start fresh in the New Year. 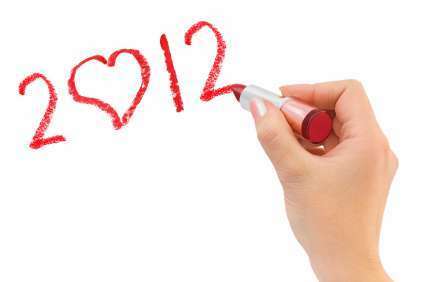 Take a moment to jot down a list of those you dated in 2013. Did they ever seem too good to be true? Did you jump in too fast or were you overcautious and took it too slow? Were you hung up on physical qualities? Were these people you could be friends with first? Would you be proud to introduce your dates to your friends and family? Are you backgrounds, religion, and values similar? How did your dates treat the servers at restaurants? What was the relationship your dates had with his or her parents and family? With online dating in peak season from Christmas through Valentine?s Day, finding a date isn’t a difficult task. If you meet someone that you truly connect with, I encourage you to open your heart, be open to the possibilities, give someone a second chance in case they were nervous on a first date. Love yourself first so you are able to love others. 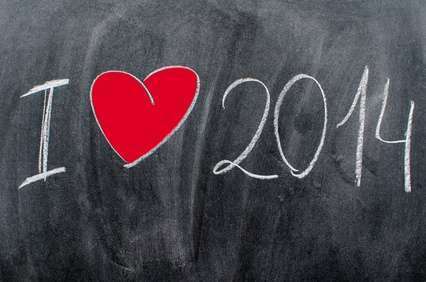 Wishing you much love and joy in cyberspace, or wherever you may roam in 2014. 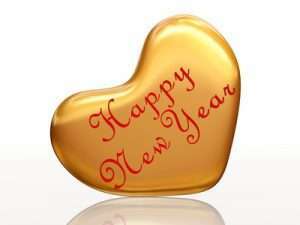 We all start out the New Year with good intentions and new resolutions. If you?re single, you may create a personal list after a disappointing New Year’s Eve alone. ?You tell yourself it will be different next year and add finding love to the list along with a better diet and more exercise. As good as your intentions are, like many resolutions, after a few weeks you lose momentum.? You end up spending more time checking your friends? facebook activity then focusing on logging on to Match, eHarmony, or OkCupid.? Finding love online ends up moving down on your list of daily activities. When you decide it’s time to make finding love a priority, you should make a commitment to sign up for an online dating site or two. Why should finding love online stay on the top of your list? Forget the holiday pressures and red candy hearts. The period from New Year’s through Valentine’s Day is when singles will either join an online dating site for the first time, or renew their memberships. Most sites have an increase in membership by an average of 10% or more from now through Valentine?s Day. It?s peak season in the dating world. You need to play to win, or in this case, log on to find love. 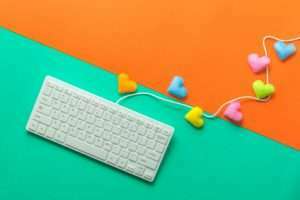 Just like refreshing your Facebook profile with new photos and new updates, you need to keep your online dating profile robust and intriguing, instead of your former stagnant profile. 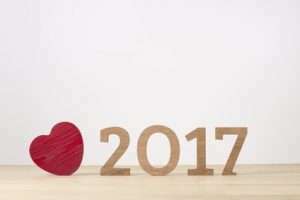 Here are three simple-to-follow and keep New Year’s resolutions for singles looking for love in cyberspace. 1. Refresh your profile. If you are satisfied with the online dating profile you currently have, change the order of your sentences and add something new and exciting that you’re looking forward to doing in the near future. Perhaps it’s an upcoming vacation or seeing one of your favorite bands in concert. As a result, your profile will become refreshed and chances are you will show up higher in a search. Remember to add new photos. If they’re good enough for Facebook, go ahead and add it to your Internet dating profile. 2. Reach out and reconnect. Did you get too busy during the year and miss out on meeting someone you started to communicate with online? Take a look in your Inbox and see if he or she still has an active online dating profile. Reach out and send an email with a simple, ?Happy New Year” as a digital ice-breaker If their profile is still online, assume they haven?t met ?the one? yet. It may be a time for a new beginning for both of you. 3.?Narrow down your search. Do your friends complain that you are too picky? Have they stopped fixing you up? There?s nothing wrong with knowing exactly what you want in a relationship. Remember, no one really gets it all. We compromise on certain things and decide what our deal-breakers are. Make a list of what is most important to you. Number it from 1-10. Now, focus on the first 3 items on your list. Is it religion or hiking? Strolling through museums? Put those key words in your search. You might be delighted to see who appears on your screen. Let’s make this year the one you really find the love you are looking for so you can become the next Cyber Love Story of the Week couple. Julie Spira is an online dating expert and the author of The Perils of Cyber-Dating. For more online dating tips and advice follow Julie on Twitter @Julie Spira and like us at Facebook.com/CyberDatingExpert.